I grew up a meager 30 minutes from downtown Wooster, Ohio- Mr. Yoder and I even had our first date at the Wooster cinema! Yet, other than just passing through, I hadn’t been to Wooster in over 10 years! Downtown Wooster has over 27 restaurants. Say WHAT? Yes! Here are a few suggestions. 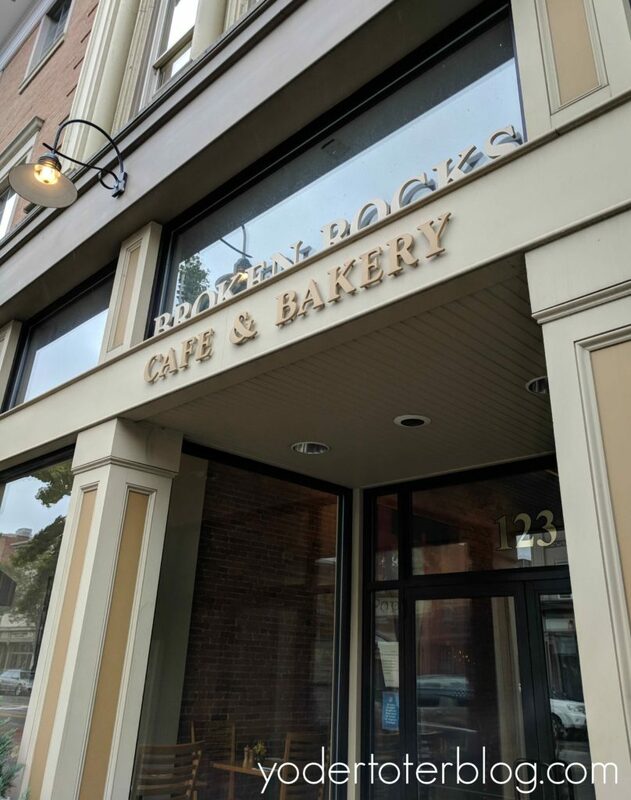 Broken Rocks Cafe – Fresh baked bread, homemade soups and sandwiches, and a full bar. This is where the locals go for lunch hours and an evening with friends. Basil Asian Bistro – Delicious Asian cuisine in a modern downtown location. The perfect place for a date night, Basil offers outdoor dining and a full bar. Wooster has no shortage of coffee houses. I know where I’d find myself blogging a rainy day away. Sure House Coffee – Located just steps away from the St. Paul Hotel, Sure House Coffee strives to use as many Fair Trade and local products as possible. 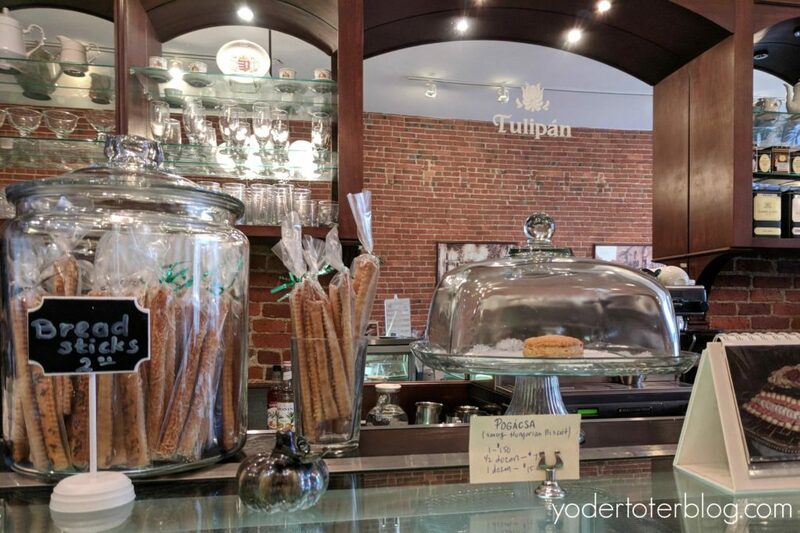 Tulipan Hungarian Bakery and Cafe – Open since 2004, Tulipan offers pastries, croissants, and strudels, along with coffee & tea. I love the small round tables and antique counter – it reminds me of the perfect place to have afternoon desserts with your best friend. 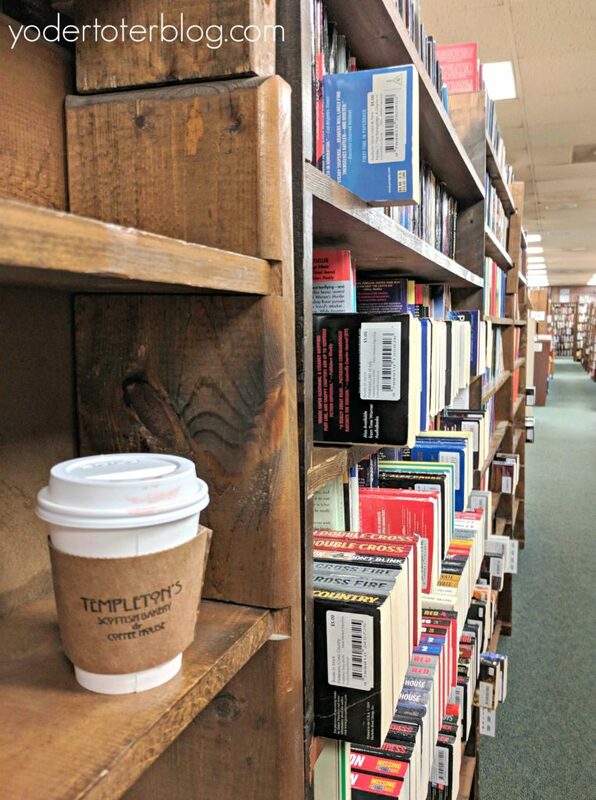 Templeton’s Scottish Bakery & Coffeehouse – Located in the basement of the Liberty Street Marketplace, Templeton’s does have the ambiance of being “across the pond.” As if their name wasn’t enough to evoke the Scots, they also serve hot porridge for breakfast. For a small city, Wooster is a shopping mecca. Here are a few of my favorites. Books In Stock – If perusing the aisles of a used and rare book store is up your alley, you’ll want to spend an afternoon at Books In Stock. A downtown Wooster business for over 25 years, you can’t leave without something new to read. The Urban Cottage – Farmhouse decor, reclaimed wood, and gifts for person that has everything. If money was no object, this is where I’d buy ALL the things. 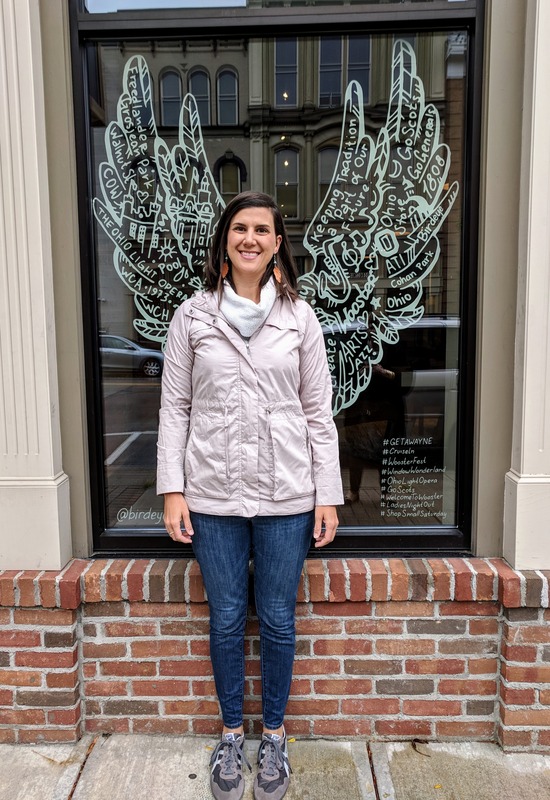 Blue Spruce Boutique – You might think you stepped into the likes of Anthropologie, but you’re still in downtown Wooster! This boutique contains a curated collection of everything from baby gifts to succulents. I’ll be going back to spend some of my Christmas cash, guaranteed! Everything Rubbermaid – Rubbermaid isn’t made in Wooster anymore, but their flagship store still resides downtown. You’ll find what the name says- EVERYTHING. 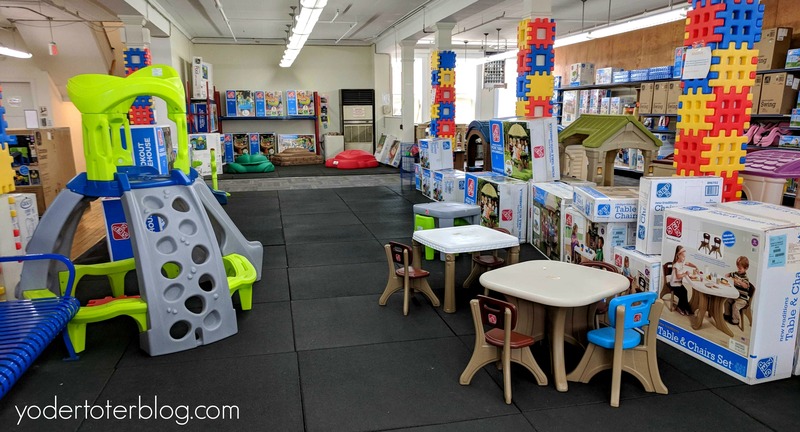 And for kiddos tired of sightseeing, they even have a play area. Faithful Little Cupcake – If you’ve already eaten too much, make sure you at least grab a half dozen of these glorious cupcakes to take home. You’re welcome. Meatheads Union– A trendy, butcher shop that also serves lunch. They offer homemade sausages such as Mexican chorizo and German brats. Grab a beer with friends at JAFB – Paul Fryman has been all over the world brewing beer, but in 2011, he decided to come back to his hometown. The atmosphere in this renovated fire station has the character of a German beer hall. Pick out a gift or take home groceries from Local Roots Market & Cafe – Seasonal and sustainable foods can be found, as well as local crafts. I enjoyed looking at the handmade soaps and lotions. Window art – located on Liberty Street, across from Broken Rocks Cafe. Make sure your wings are straight, unlike mine! 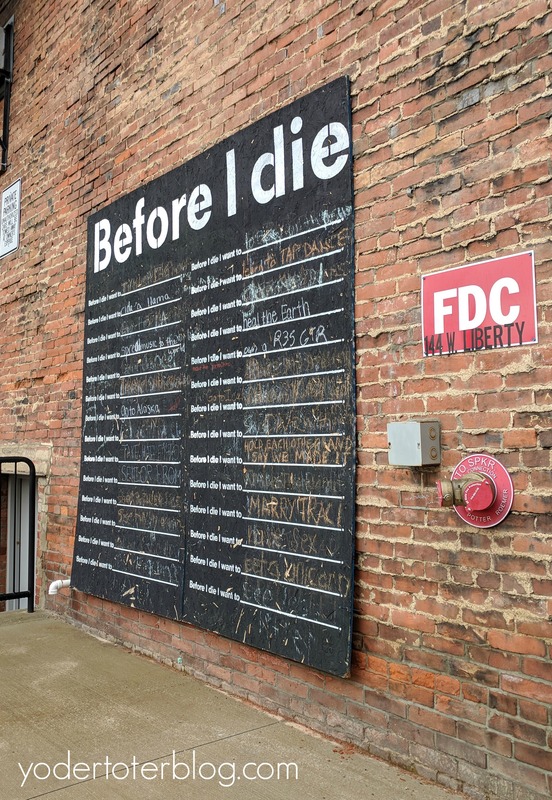 Before I die chalkboard mural – Add something from your Bucket List to this public art. Located on Walnut Street, next to the Local Roots Market. Wayne County Courthouse – At the northwest corner of the square, the imposing courthouse is a similar style to Philadelphia city hall. 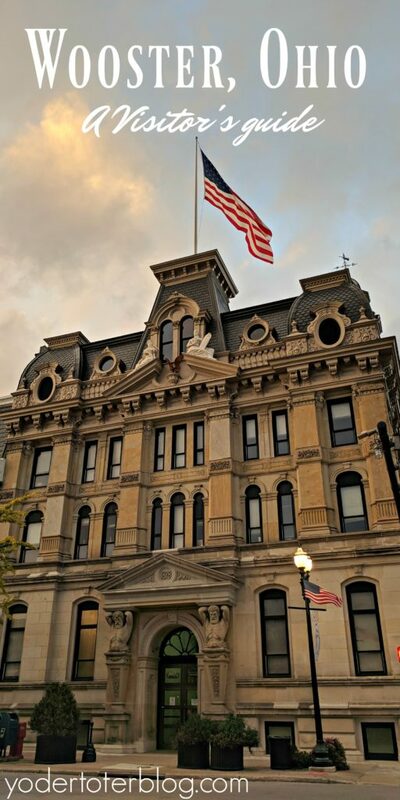 Want a hotel in downtown Wooster? Check out my review of the St Paul Hotel or check current rates. 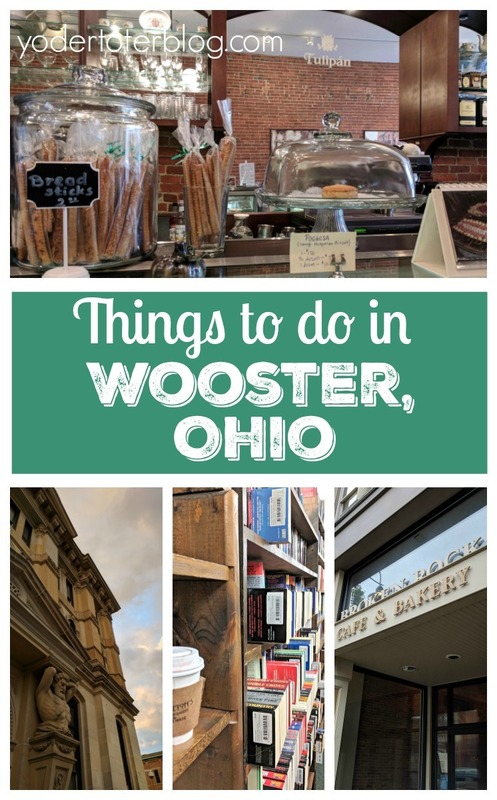 So there’s my list of things to do in downtown Wooster, Ohio! I feel like I’m not even scratching the surface! What’s your favorite? I was hosted in Wooster, OH as a guest of the Wayne County CVB. All opinions are my own.